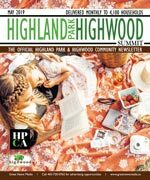 The Highwood Community Association was created in order to provide programs, services and events to bring neighbours closer together. Highwood has many green spaces and parks, a great outdoor pool and two outdoor rinks utilized for seasonal activities. The community is centered around Colonel Irvine Junior High School and the Highwood Community Hall. In the City of Calgary’s 2012 municipal census, Highwood had a population of 2,214 living in 993 dwellings, a 5.5% increase from its 2011 population of 2,098. With a land area of 0.9 km2 (0.35 sq mi), it had a population density of 2,460/km2 (6,400/sq mi) in 2012. Residents in this community had a median household income of $57,663 in 2000, and there were 7.3% low income residents living in the neighbourhood.As of 2000, 15.2% of the residents were immigrants. A proportion of 20.3% of the buildings were condominiums or apartments, and 30.1% of the housing was used for renting. For more detailed info visit the City of Calgary community profiles.